​ s runs from January 9-27 at the Louis Bluver Theatre at The Drake. To purchase tickets, visit Mauckingbird.org or call 267-385-6910. 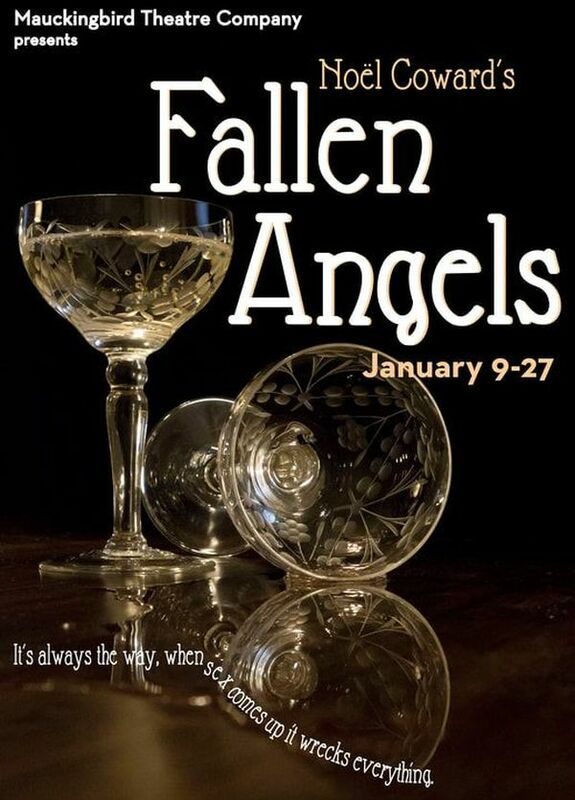 For more information about the show and tickets, visit the ​Fallen Angels​ page on ​Mauckingbird Theatre Company’s website​. ​ (2011) and ​Hot ‘n’ Cole: A Cole Porter Celebration​ (2015); the Philadelphia premiere of Jon Marans’ ​The Temperamentals​ (2012); Jonathan Harvey’s ​Beautiful Thing​ (2014), and staged readings of ​Bad Seed ​ (2013), ​The Children’s Hour​ (2014), ​The Boys in the Band​ (2014) ​The Normal Heart (2015) and ​Othello ​ (2017). TICKETS $25 General Admission, $20 Seniors, $15 Students. Tickets are available for purchase at http://www.Mauckingbird.org, by phone at 267-385-6910, or in person at the box office one hour before show time.